The fact that it looks a bit like the monolith from "2001" might be intentional. Earlier this year, the Tesla company (run by Elon Musk of electric car, SpaceX and Hyperloop fame) announced that they will be producing a battery to power and empower the home. Run using off-the-grid power generated from solar electricity, the Powerwall battery will be a major step forward for sustainable living around the world. According to eattomorrow.com, the battery itself is very similar to those used in the Tesla automobiles. However, the Powerwall's means of gathering electricity are diverse, including from on-site solar panels or wind generators, or from storing energy from the grid when utility rates are low. Should the grid fail completely, the battery can continue to function on the sustainable sources. Much more pleasant than nuclear plants, huh? Ideal for those who live in developing nations or remote areas, or just for the safety-conscious who believe in the coming apocalypse, the Powerwall is a major player in self-sufficient living. Each unit, once installed, is guaranteed for ten years (barring the apocalypse occurring in that time), and can serve the needs of an entire house (2.0 kilowatt/hours continuously, 3.3 kW/h peak.) More batteries can be installed if necessary, and can be located indoors or outdoors. The Powerwall is available in a 10 kWh weekly cycle model ($3,500) and 7 kWh daily cycle model ($3,000.) Forbes assessed the cost and value in terms of storing electricity while not needing to spend money on it during peak hours, and reported favorably on the Powerwall as an investment. 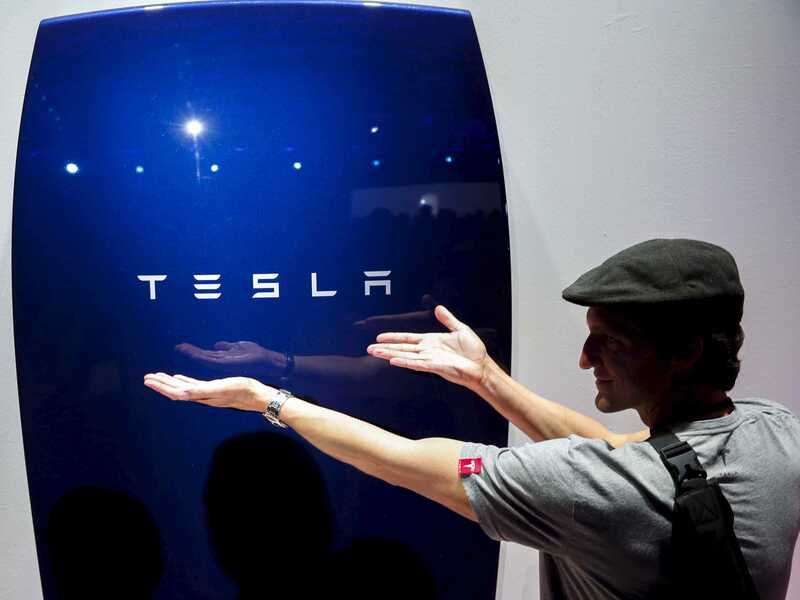 Combined with its clean technology, unobtrusive design, and Tesla's ever-escalating ability to produce inexpensive, effective batteries, the Powerwall will be knocking down walls in terms of innovation. either real or in a video game. The initial Powerwall units will begin shipping late this year, and reservations are being accepted now via the Tesla website. If you want to get a head start on living in the future, this could be a productive and sustainable means of doing so. As Tesla CEO Elon Musk says, this will change the “entire energy infrastructure of the world.” Leave the grid behind and start saving the sun for your future! And if all of Musk's plans work out, perhaps a Powerwall will fuel your home on Mars!